Kenny Florian hasn't fought since losing to Jose Aldo, October of last year. UFC veteran Kenny Florian has officially retired from the world of MMA. Florian made the announcement during the weigh-ins for The Ultimate Fighter Finale. 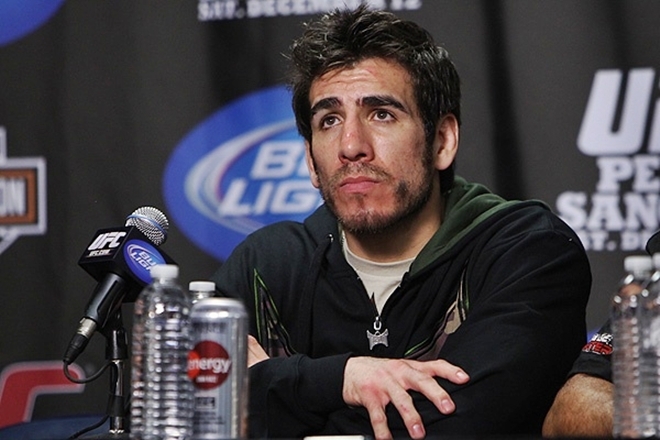 Kenny Florian is suffering from a serious back injury that may end his career. Kenny Florian is suffering from a serious lower back injury that could prevent him from fighting again, he announced during a recent interview with the Boston Herald. The 35-year-old Peruvian, American featherweight contender has been diagnosed with a ‘herniated disc in his lower back’, an injury he sustained on November, from one of his weight training activities. Tickets for UFC 136: Edgar vs Maynard 3 goes on sale starting today! Set to take place on October 8 in Toyota Center in Houston, tickets for UFC 136: Edgar vs Maynard 3 will go on sale starting today. UFC Fight Club Members will get the first chance to purchase their tickets later at 10:00 am CT. Then on Thursday, August 18, UFC Newsletter subscribers can purchase theirs at 10:00 am CT. Ticket sales will go public on Friday, August 19 at 10:00 am CT as well. The UFC 136: Edgar vs Maynard 3 will feature a rubber match between Frankie Edgar and Gray Maynard, following their 125 fight which resulted to a draw. Also in the main card is a featherweight title match between reigning champion, Jose Aldo, and Kenny Florian. More UFC 136 updates are sure to come, so just keep it posted here at Fighting Insider. That said, posted after the cut are five matches that fans would like to see after UFC 133. Chael Sonnen will finally end his 14-month exile from action, as he faces Brian Stann on October for UFC 136. 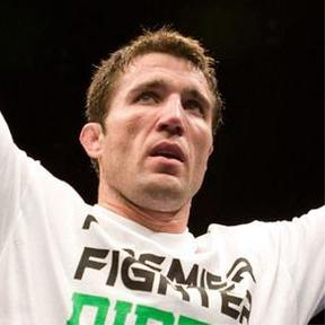 Last Wednesday night, UFC President – Dana White – confirmed that Chael Sonnen will finally end his 14-month exile at UFC 136 against Brian Stann. Chael Sonnen was put on the sidelines following his middleweight battle against reigning champ, Anderson Silva, at UFC 117 last August 2010. His post-fight drug test resulted to positive when his urine sample came back with high testosterone-to-estrogen level. Eventually, the California State Athletic Commission shortened Chael Sonnen’s one year suspension to six months. However, due to misleading statements to the commission, CSAC gave the middleweight fighter an indefinite suspension. UFC also froze Chael Sonnen’s contract while working on his money laundering case. 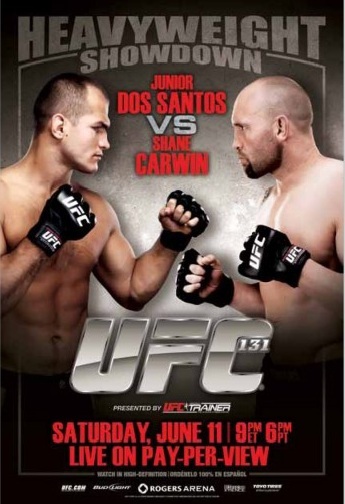 Before UFC 131 kicks off tonight, check out Fighting Insider's main card preview for the upcoming match. Brock Lesnar’s forced withdrawal from his UFC 131 bout against Junior Dos Santos due to health issues opens the door for Shane Carwin. And with a heavyweight title shot possible to be the winner’s reward, fans can bet that both Junior Dos Santos and Shane Carwin will make a statement to get a crack at Cain Velasquez. The Dos Santos vs Carwin bout will surely end violently, but the rest of the main card is also ripe with meaningful plot. 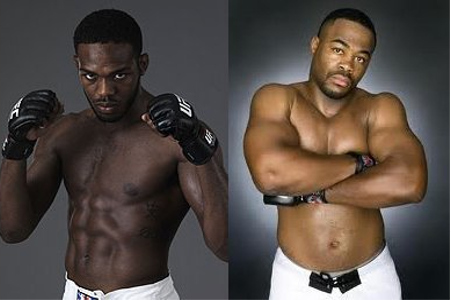 Take a look at Fighting Insider’s UFC 131 main card preview after the skip. After depriving himself of all the foods the missed munching at, Kenny Florian will finally make his featherweight debut this Saturday at UFC 131. Kenny Florian, who celebrated his birthday two weeks ago, hasn’t eaten much lately in preparation for his UFC 131 co-main event bout against Diego Nunes. This coming Saturday, KenFlo will make his debut at the featherweight division at the Roger’s Arena in Vancouver, Canada. That said, he will be the first fighter in the history of UFC to compete in four different divisions. Kenny Florian is one of the many fighters who dropped from featherweight since the promotion introduced the weight class, following the UFC-WEC merger earlier this year. Notable fighters like Joe Stevenson, Tyson Griffin and Darren Elkins followed the same course. 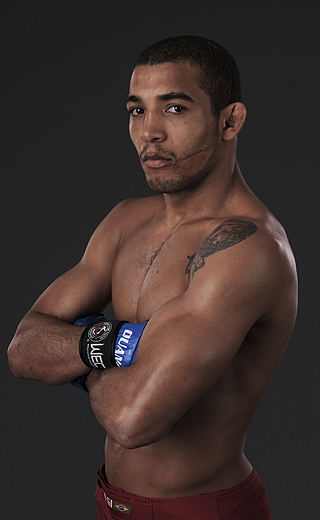 Jose Aldo doesn't bother if it's either Mendez or Florian who will try to take his rank as the UFC's no. 1 featherweight. Jose Aldo, who won his first featherweight title bout in UFC 129 against Mark Hominick, is now set to fight either Kenny Florian or Chad Mendes. Kenny Florian, who is much recognize among the other featherweight fighters, is the UFC’s overall choice for Jose Aldo’s next opponent. He has the tendency to have a title bout – and to be in the featherweight top 10 – if he will win against Diego Nunes at UFC 131. On the other hand, Chad Mendes followed Jose Aldo at the featherweight top 10 ranking as number two. The undefeated MMA fighter is a better striker and wrestler, and has a longer reach than the current champion. It is obvious that Chad Mendes is worthy to fight Jose Aldo in a title match, but the decision still lies in the UFC officials. Who do you think deserves a featherweight title shot? Share your answers at the comment box.